We offer containerised, high-quality, durable solutions for sustainable power generation designed and manufactured in South Africa, with world-class components. 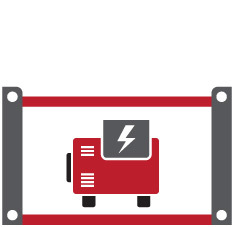 Our product range consists of containerised generators and combined heat and power plants (CHPs) driven by sustainable fuels such as biogas, landfill gas and natural gas. 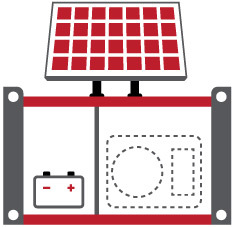 Additionally, we offer multiple containerised solutions using solar power with or without battery storage. We also incorporate other technologies including water pumps, water treatment and refrigeration, thus offering multipurpose off-grid solutions for permanent rural electrification or temporary and mobile installations. SustainPower provides turnkey solutions for sustainable power generation, including neighbouring technologies such as gas treatment, power plant and biogas plant management systems.